Are All Providers Equal in the Eyes of the ZPICs? By David S. Dessen, Esq. Zone Program Integrity Contractors (ZPICs) are charged with detecting fraud, waste and abuse in Medicare Parts A, B, C, D, Durable Medical Equipment, Prosthetics, and Orthotics Suppliers (DMEPOS), Home Health and Hospice agencies (HH+H), and Medi-Medi (a partnership between Medicaid and Medicare designed to enhance collaboration between the two programs to reduce fraud, waste and abuse). In conducting their work, ZPICs are not limited by time as to the claims they may review or the number of documents they may request “to identify cases of suspected fraud, develop them thoroughly and in a timely manner, and take immediate action to ensure that Medicare Trust Fund monies are not inappropriately paid out and that any mistaken payments are recouped.” In carrying out their responsibilities, ZPICs do not conduct random audits. Instead ZPICs rely on data analysis to detect high frequency of certain services as compared with local and national patterns, trends of billing, or other information that may suggest the provider is an outlier. ZPIC audits may also be triggered by employee or beneficiary complaints to the Office of Inspector General hotline, fraud alerts, or information received from a MAC or other contractor and law enforcement agencies. As the number of stand-alone health care providers continues to decrease, the number of corporate relationships between companies hired by CMS to ensure the integrity of the Medicare program and Medicare providers continues to increase. The result of this consolidation is the growing possibility that these relationships will not be detected or adequately addressed by CMS, with the result that complaints of wrongdoing against some providers will not be investigated as vigorously as complaints against other providers. Examples of these interrelationships are detailed in protests filed with the Government Accountability Office (GAO) by C2C Solutions, Inc. and Cahaba Safeguard Administrators, LLC over the initial award of the Zone 2 ZPIC contract to AdvanceMed Corp. The protests, which were sustained by the GAO on January 25, 2010, concerned the possibility that as the Zone 2 ZPIC, AdvanceMed might be called upon to investigate the work performed by its then parent, Computer Sciences Corporation (CSC), in connection with service contracts held by CSC with Universal American and HealthNet in connection with those companies operation of plans under Medicare Parts C and D. In sustaining the protests, the GAO concluded that CMS had not sufficiently analyzed AdvanceMed’s plan to avoid the potential conflict before accepting AdvanceMed’s plan and awarding it the Zone 2 contract. Possibly as a result of the GAO’s actions, or possibly to satisfy CMS’ desire to retain AdvanceMed as the Zone 2 contractor, in February 2011, CSC announced the sale of AdvanceMed to NCI, Inc. NCI announced that the sale closed in April 2011 and that AdvanceMed remains the Zone 2 ZIPIC. 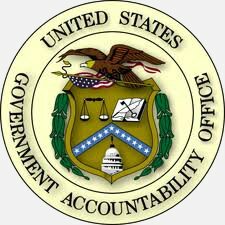 As highlighted in a recent report by the OIG, CMS does not have in place uniform and effective procedures to identify and resolve actual and potential conflicts of interest between companies seeking CMS auditing contracts and related corporate entities receiving significant payments from Medicare. 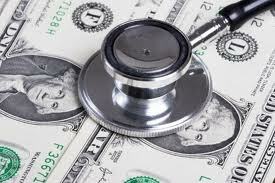 Unless a better way is found to ensure that those charged with ensuring the integrity of the Medicare program investigate with equal vigor suspected wrongdoing by any corporate provider, American taxpayers will continue to lose millions of dollars to waste, fraud and abuse. Please contact us if you would like further information about ZPICs or for assistance in helping to resolve other issues with any of the legion of CMS auditors that inhabit the Medicare-Medicaid Audit World.